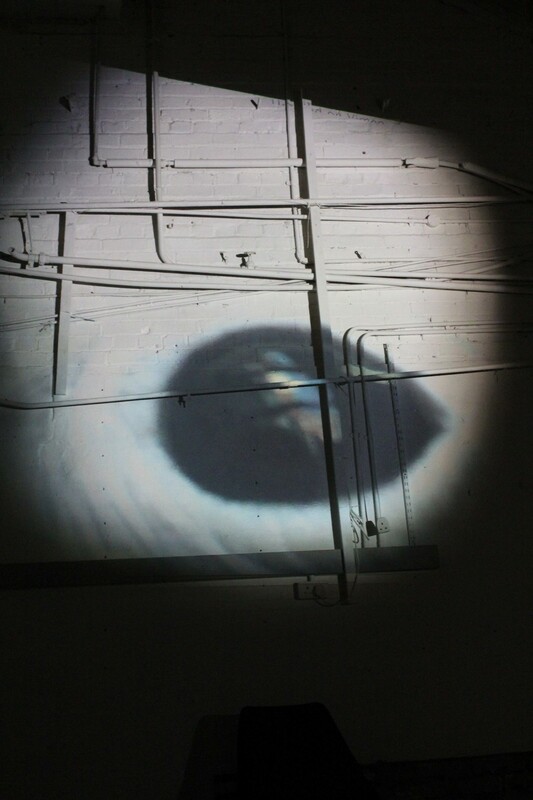 This installation consisted of a 'roving eye' projection in a large darkened space, with a soundpiece passing through. The image was made by filming the eye of a cockatoo in a petshop in North Dublin, but blown up to a monstrous size. At times the street outside can be seen reflected in the eye, but during the show the identity of the creature is not disclosed. A sound piece, made of vocalisations of birdsong passed through the space periodically, panning from speaker to speaker so that it moves in a flock-like formation. A performance took place three times during the duration of the show. This piece was a vocal performance of a sequence of looping improvised singing fragments that finally build into a cacphony of bird sounds, to filling the space with cries and cackles. The sounds are then lead back to a musical sequence once more. Birdbecomebird was shown as part of the 2011 Degree show in the National College of Art and Design, Dublin. A Word Against the Place was a sound piece with layered vocals discussing ideas of territory and time in a poetic narrative. This narrative imagined the life of a building through disconnected voices and imaginings back through its past. 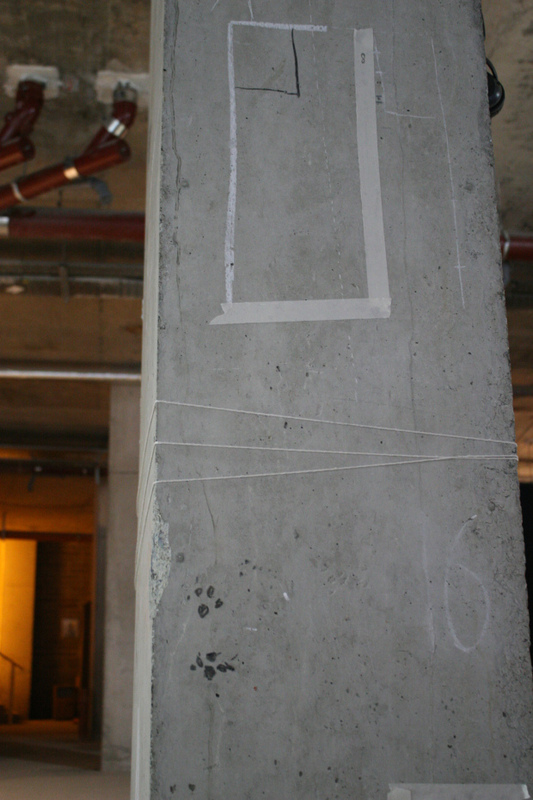 The exhibition took place in an unused shop, and one of the graffitied pillars in the space became part of the sculpture, with small territorial markings added to those already there. This work was part of the group show 472m2, in Kings Inn Street Dublin, 2010.